It is always special to go back to the roots. 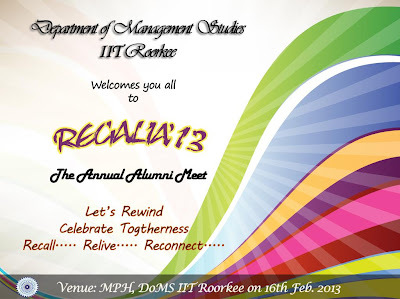 DoMS IIT Roorkee witnessed such an event on 16th Feb 2013. 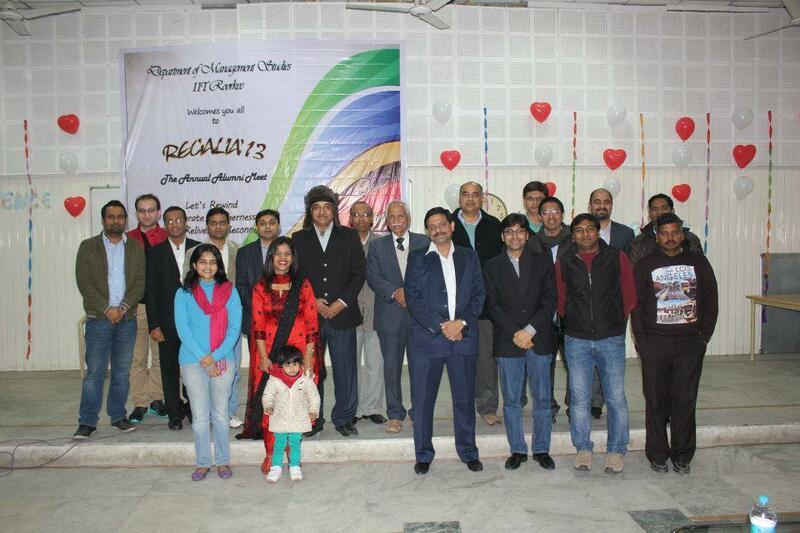 The occasion was Regalia, an annual Alumni meet of the Department of Management Studies IIT Roorkee. The students were ecstatic and thrilled about the occasion and a chance to meet their seniors. There was an aura of and enthusiasm prevailing in the campus and preparation were on full swing. Keeping the tradition, Regalia 2013 started on a high note. 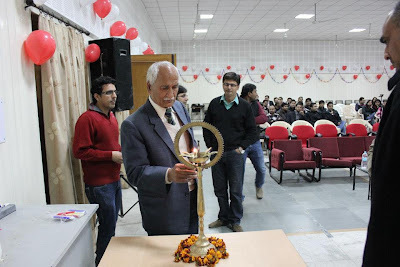 The event started with the lightning of lamp by Prof. J L Gaindhar, President of Alumni Association IIT Roorkee. The occasion was also graced by Prof. S. C. Sharma, Dean Alumni Affairs, IIT Roorkee and Dr. S. Rangnekar, Head of the Department of Management Studies. The alumni were presented with mementos by Prof. Gaindhar and Dr. Rangenkar. The event took off with a series of high voltage acts. 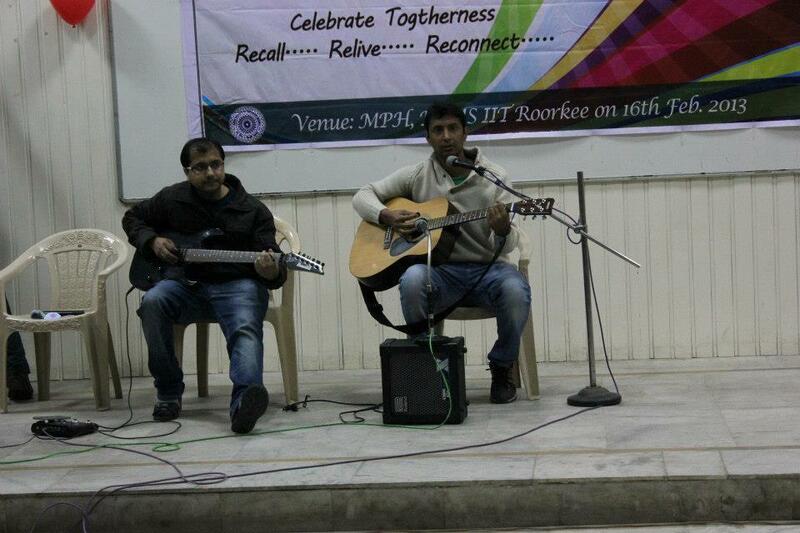 The first performance was by Vishwjeet and Ankit which was well appreciated. The excitement reached its peak when Naeem and team presented a brilliant MIME act which was enjoyed by everyone. The performance continued with a group dance performed by the MBA first year students. In between the performances, alumni were kept on their toes by fun games such as candle lighting and bouncing-a-ping-pong-ball-into-glass. Alumni also participated wholeheartedly in the event. Varun Goel from 2011 batch created a lyrical environment by singing a song. After all the cultural events were over it was the time to go back to history. Alumni were invited to share their experience with the current batch. 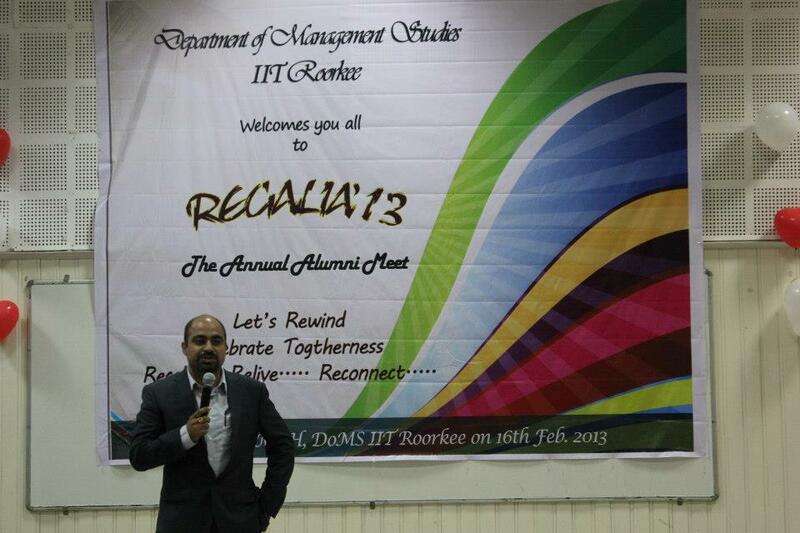 It started with Jitendra P. Solanki, an alumnus from the very first batch of DoMS. He shared his experience about DoMS and afterward, the challenges faced and how did he cope up with them. All other alumni too shared their moments of joy and struggles with the current batch. They guided us on how to get the best out of the institution in terms of education, learning and fun. They were keen to extend all support to the current students. It was motivating to know the success stories of the seniors. There were some nice moments when alumni such as Varun Goel and Shashi Kant shared their contact numbers, addresses with us and even invited everyone to his home. 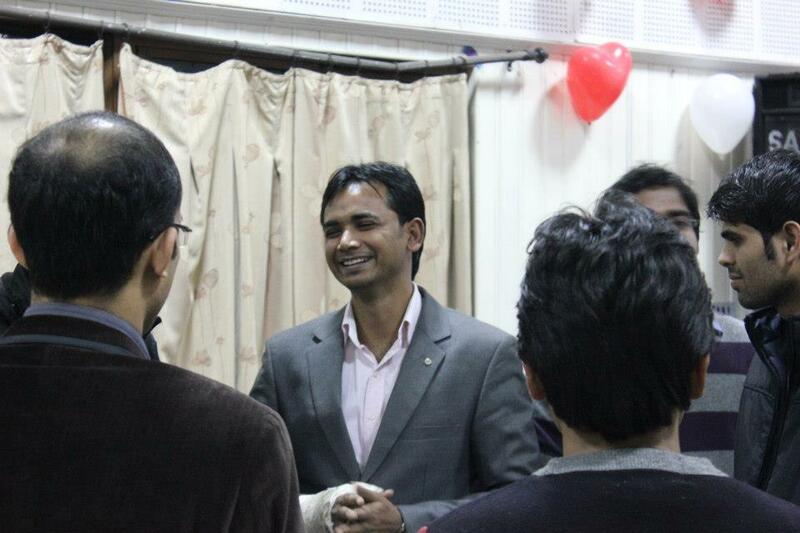 This emotional connect was also evident with other alumni reaching out to us and offering all possible helps. Every beautiful thing has an end and Regalia was no exception. A vote of thanks was paid to the alumni and other distinguished guests and the official programme came to an end. Alumni, for one day lived in the flashback and cherished the beautiful moments. They danced, laughed and had fun after which dinner was served. 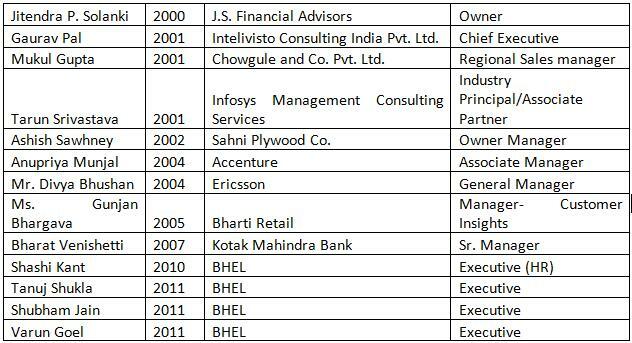 The alumni also interacted with the current batches and offered valuable suggestions. 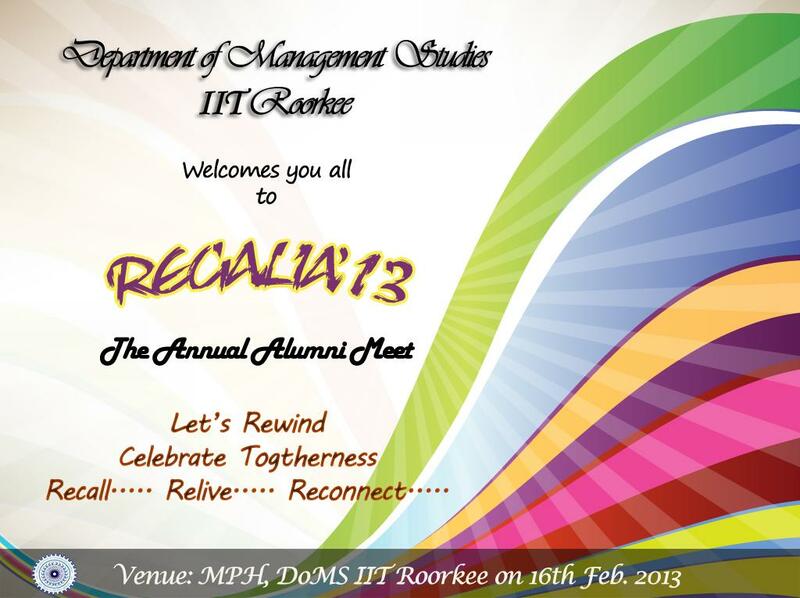 Regalia 2013 was an event which was thoroughly enjoyed by alumni as well as students. This gave a chance to all of us to come together on a single platform,share the experiences and connect together. Memories of it are here to stay. Regalia 2013 might be over but bonding is not.